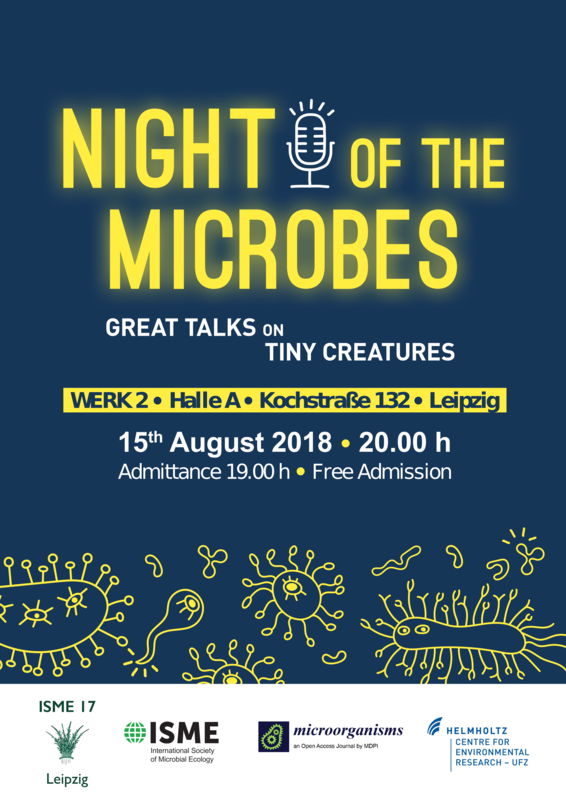 Wednesday 15 August 2018, 8 p.m.
Microbial Ecology and its recent advances are much too fascinating and too relevant to be concealed from a broader public. The local organizers of ISME17 thus organize an evening of public talks along with the symposium. The 'Night of the Microbes' will take place in the popular events location Werk 2, one of Leipzig’s largest student clubs. The former factory normally accommodates concerts, exhibitions and other cultural events. 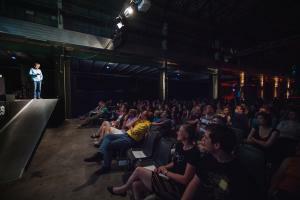 The idea is to make ISME17 visible to the city of Leipzig and to convey a selection of our hottest results or concepts in a casual atmosphere along with music, German beer and a nice time together. The ISME17 Local Organizing Committee cordially invites you to this special event. Tickets for ISME delegates are limited and will be issued at the conference venue during ISME17 (On Monday and Tuesday at the ISME Booth). Free Admission!